Durbin PLC Wins The Queen's Awards for Enterprise, International Trade, 2018. For more information click here. 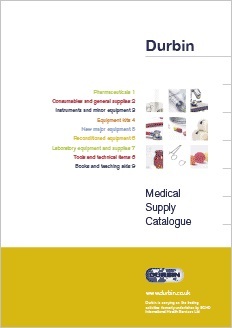 Durbin is one of the world’s leading specialist medical suppliers. Established more than 50 years ago in 1963, we source and distribute pharmaceuticals, medical equipment and consumable supplies to healthcare professionals in over 180 countries. 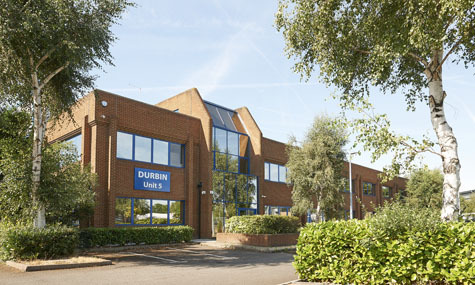 With offices and warehousing in both the UK and USA, Durbin prides itself on being a trusted global partner to healthcare manufacturers. Our nine specialist divisions operating in niche areas of pharmaceutical and medical distribution encompass everything from international sales, sales to NGO’s and charities, clinical trials supply, managed access programs and imported unlicensed medicines through to sexual health supplies and the storage and distribution of medical products and devices for third parties. We can supply UK, European and US products from source covering everything from a single cold chain item to large scale humanitarian projects. The company is fully licensed by the UK MHRA, USA Pharmacy Authorities and DEA. Durbin has grown rapidly over the last five decades and our multi-lingual workforce includes pharmacists, medical engineers and nurses, as well as commercial, warehouse and logistics staff. Our philosophy has always remained the same however – to put our customers first and to supply what they want, when they want it, at a competitive price. Durbin. Saving lives by saving time. Please note that most products in the Medical Suppy catalogue are for use outside the EC only. Click here to view our catalogues in electronic format. Please note that this catalogue is available to UK healthcare professionals only.